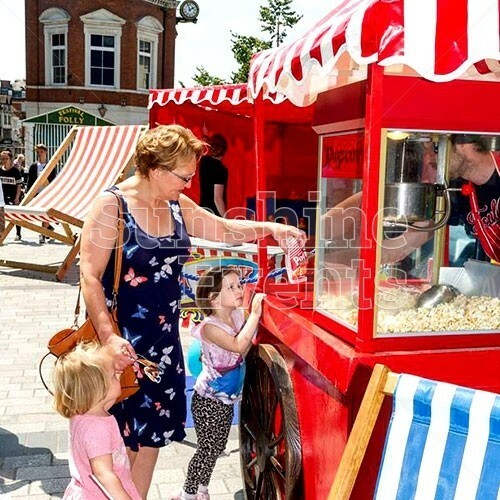 Whether it’s at a night at the cinema or a day out at the beach, there’s one unique smell that really gets the tastebuds tingling and mouths watering: freshly made popcorn! 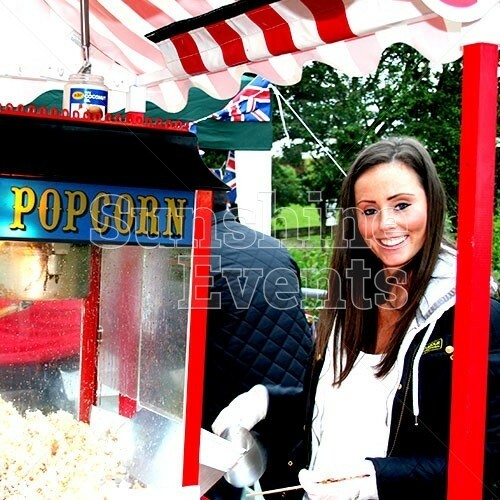 There’s nothing quite like it and when you choose the Popcorn on a Traditional Cart Hire you can bring that scrumptious odour to your event! 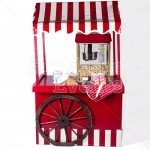 Placed on the beautifully designed wooden cart and using the popcorn machine you could cook up a batch of sweet or salty popcorn in just a few minutes. 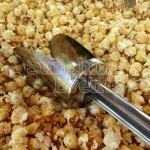 The technique is simple: add some unpopped corn to the kettle with a little coconut oil and apply heat. Moments later you’ll be able to hear the corn exploding inside the kettle and once it’s scooped up into the cone you’ll be enjoying the flavoursome popcorn. The great thing about the Popcorn on a Traditional Cart Hire is that it’s incredibly easy to make and serve the popcorn yourself, so we can provide the cart unstaffed for you to get involved at your event and be part of the experience. 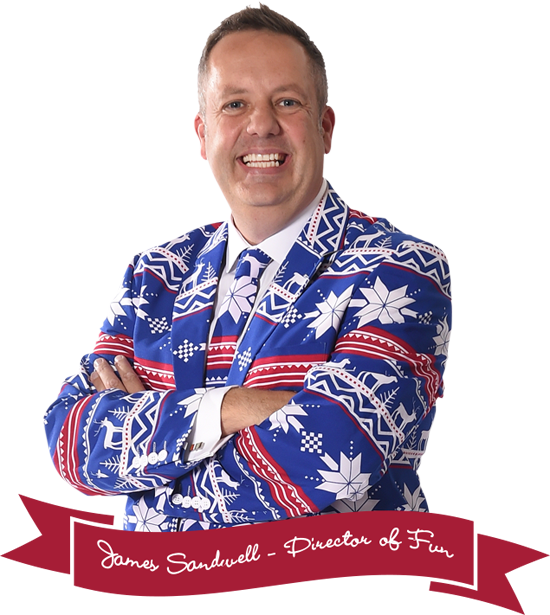 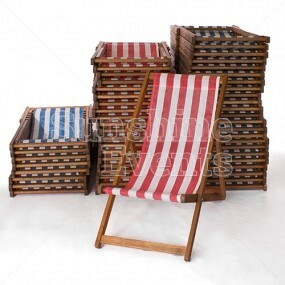 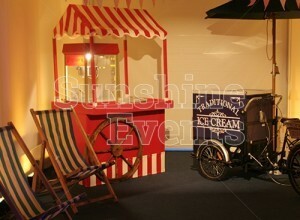 Alternatively, we can pop on the apron ourselves and leave you to enjoy the festivities. 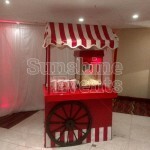 What events are the Popcorn on a Traditional Cart Hire suitable for? 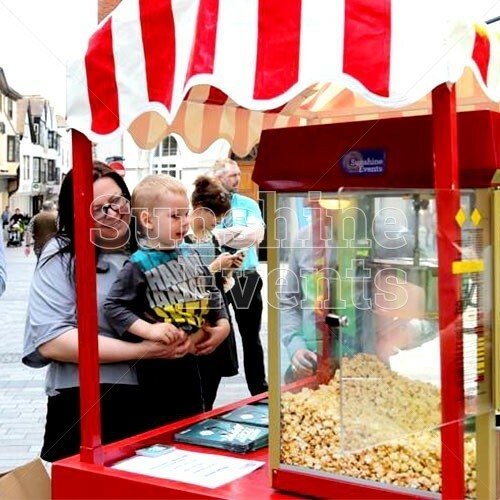 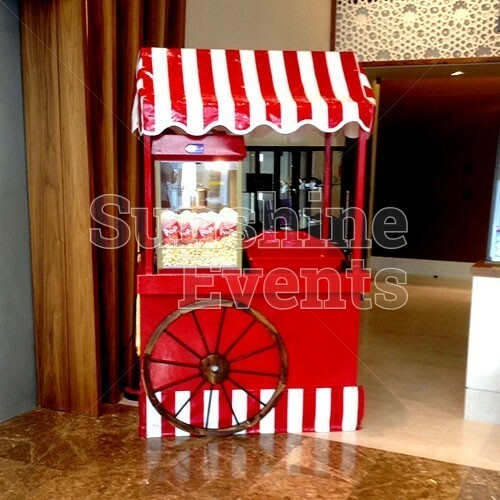 Freshly made popcorn tastes so much better than the versions you might buy pre-popped in bags, or even at the cinema, so make sure you bring this unique cart to your event and start to enjoy the taste sensation! 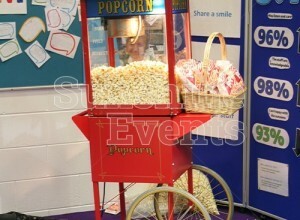 We can even provide branding options, both for the cart and even for cardboard popcorn boxes with your logo. Easy to make - you can do it yourself! 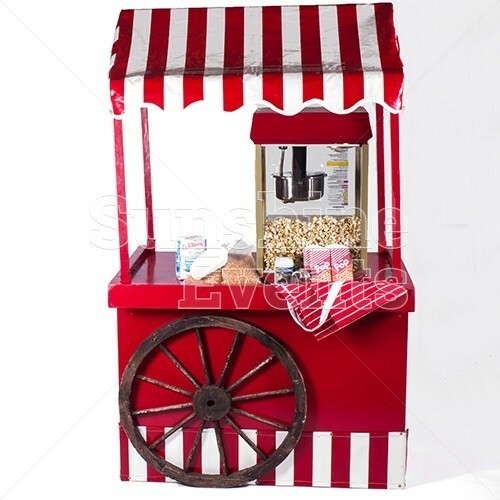 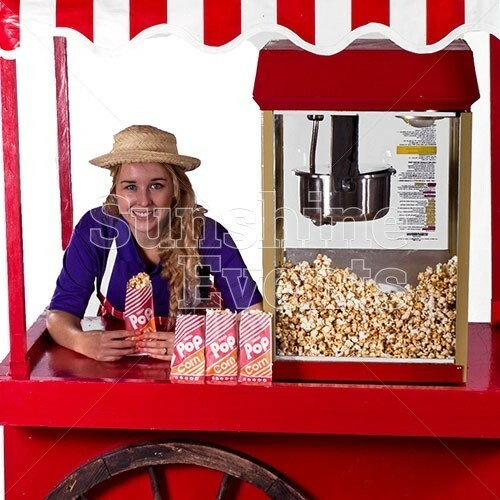 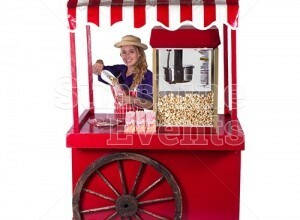 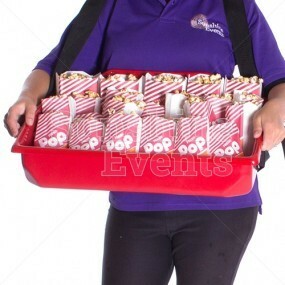 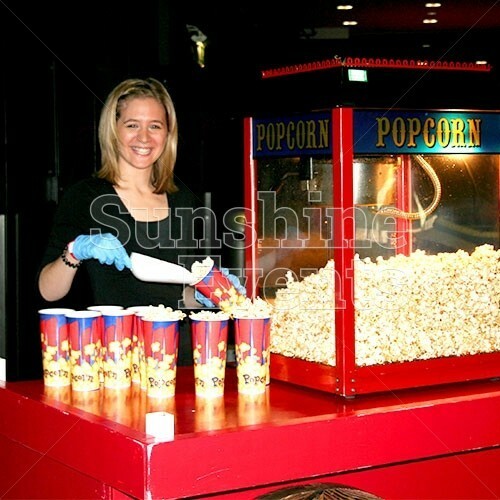 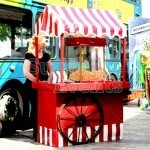 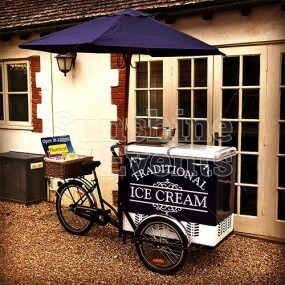 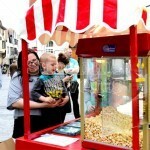 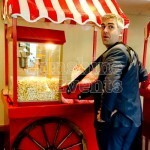 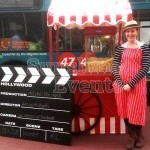 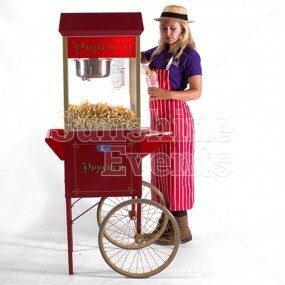 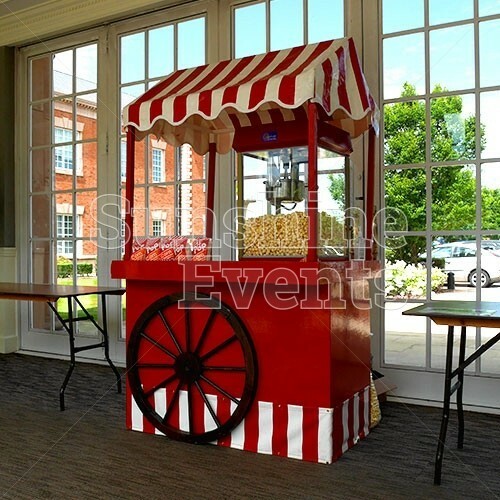 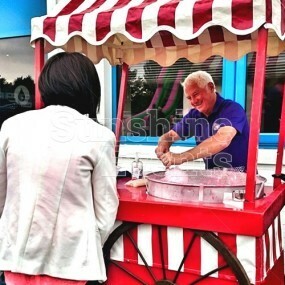 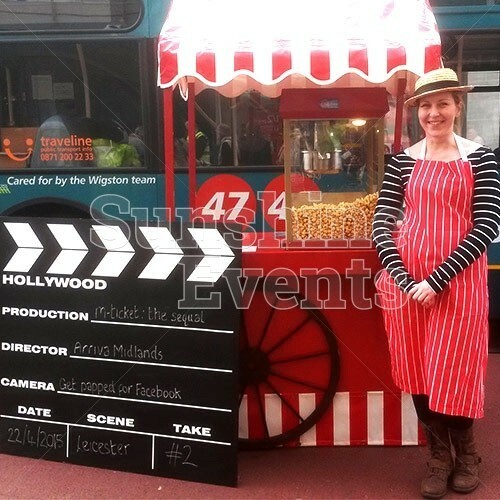 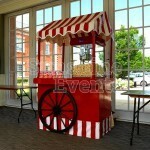 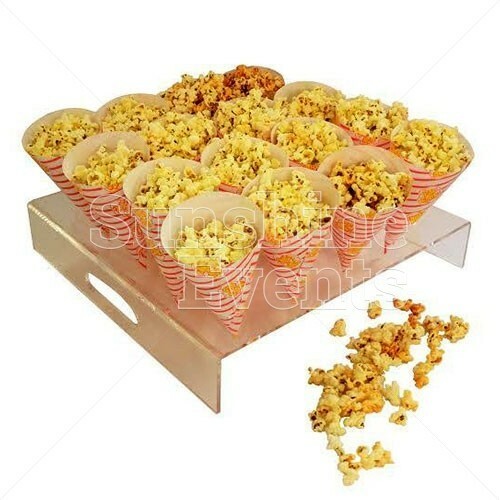 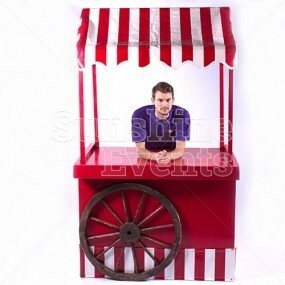 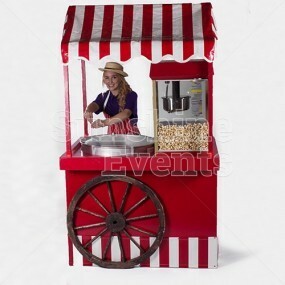 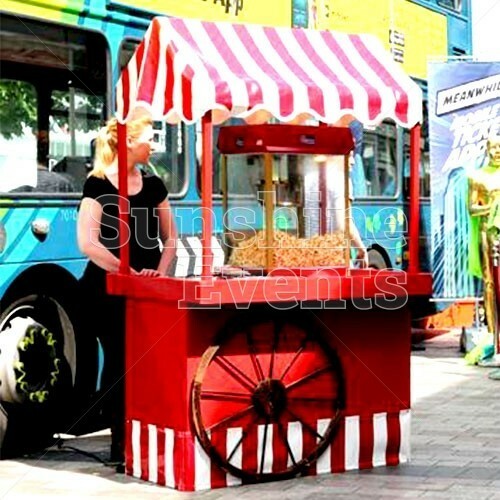 Popcorn on a Traditional Cart Hire has been added to your Event Quote.